The health, safety and wellbeing of all people, whether employees, colleagues or the public is important in any situation, however, in construction the dangers and consequences are extremely high and are an ongoing concern. We recognise as a business that our people are our most valuable asset, and that the provision of a safe and healthy workplace is integral to successful business performance and sustained growth. There is both a moral and legal duty to look after yourself as well as others whilst at work. The legal aspects of these requirements are enshrined by Health and Safety Law, in both Acts of Parliament and various EU Regulations. The enforcement of Health and Safety Law is closely monitored and enforced by the Health and Safety Executive (HSE) and Local Authorities (LA). Site Managers and Foreman hold 5 Day SMSTS, UKATA Asbestos Awareness, Site Managers CSCS Cards, CDM and Risk Management certificates. All site based operatives hold CSCS Cards, UKATA Asbestos Awareness, as well as the various plant operator’s licences that are a necessity. With the appropriate training and experience our competent teams are able to carefully plan and coordinate every step of our client’s project with the endeavour of making them a healthier and safer working environment. Communication is absolutely imperative and as part of our commitment to reducing risk, our health and safety department are responsible for ensuring that risk assessments and method statements are devised, collected from sub – contractors and communicated to our site teams. 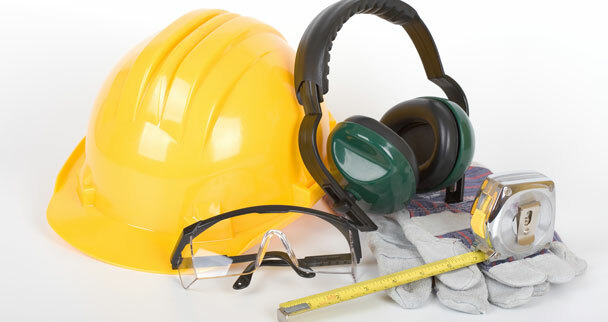 With all of our best endeavours risk cannot always be eliminated and therefore we insist that as a last resort all persons who attend site as construction worker or visitors all adhere to our standard PPE requirements, which are namely Hard Hat, Safety Gloves, High Visibility Clothing and Safety Boots. Welfare standards are also of particular importance, providing suitable facilities for project delivery teams is key to the success of a project – the provision of clean and tidy facilities leads to a clean and tidy site! To ensure that our systems reflect best practice in the industry and not just our own interpretation we have attained various third party accreditations through SSIP (Safety Schemes in Procurement). Please click here to view our Accreditations. Please click here to view our Health & Safety Statement. Please click here to view our Health & Safety Site Handbook.